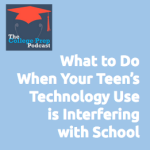 One of parents’ biggest concerns and confusion about raising kids in today’s world is how to help them manage their technology use. Guest expert Jason Brand breaks down how to talk to kids about how they’re using technology and what kinds of limits are most appropriate. Jason Brand is a Berkeley, California based psychotherapist who specializes in providing support to families in a rapidly changing world where digital technologies are transforming our lives. His work takes place in schools and with organizations where he lead workshops about safety, trust, awareness and respect in the digital age. His book, “1 to 1 at Home: A Parent’s Guide to School-Issued Laptops and Tablets,” is a practical guide to integrating new technologies into family life. You can find out more about him at www.jasonbrand.com and www.connectedstar.com.